Situated on the western cliffs of Nusa Lembongan island at the southeastern shore of Bali, this design orientated resort integrates high quality features, with low maintenance and longevity. The resort uses curved organic, ocean inspired geometry as a basis for the architecture, creating fluidly an atmosphere of wonderment, drama within the relaxed confines of a luxury resort environment. A long, circular infinity pool melting into the horizon at the edge of the cliff is a spectacular arrival feature with the ocean as the backdrop which is framed from the entrance. 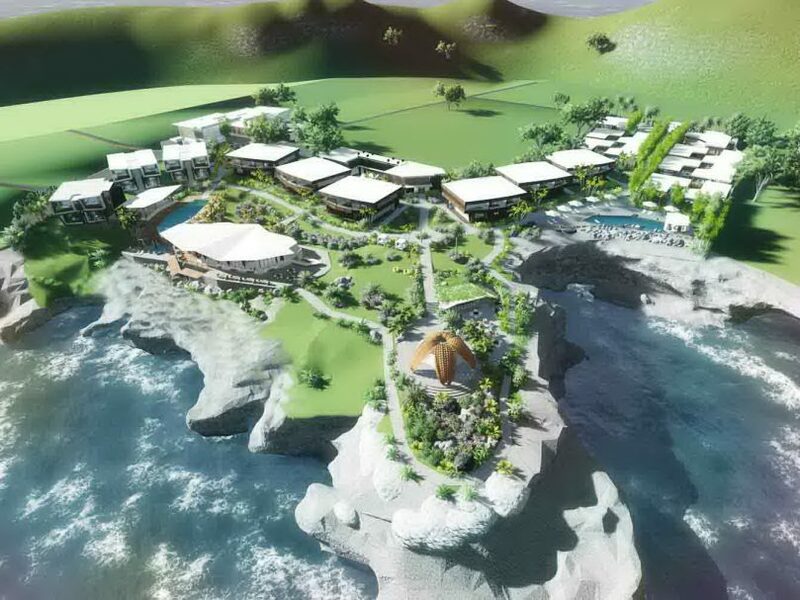 The nearby Ocean Club will be the stand out feature of the resort and heart of the surrounding activities, offering a wide panoramic view of the sea and breathtaking surrounding. Its form evokes a feeling of yearning towards the elements, while its materiality is natural and grounding. Another outstanding feature of the resort is its spa, which has the opportunity to be a defining experience for any visitor. 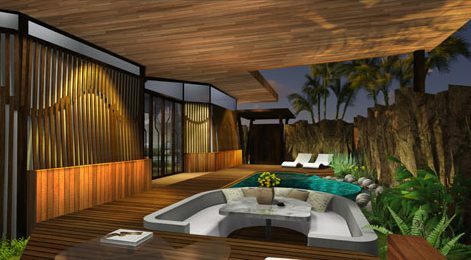 Inspired by an underwater cave, the spa area has a the associated magical ambiance. The visitor meanders down a ramp which cuts through the surrounding pond to reach the underground entrance. This dramatic entrance gives the feeling of walking through water to enter a very sacred space.